The popularity of SUVs shows no apparent sign of abating and neither does the popularity of Lamborghinis – the world keeps generating millionaires. 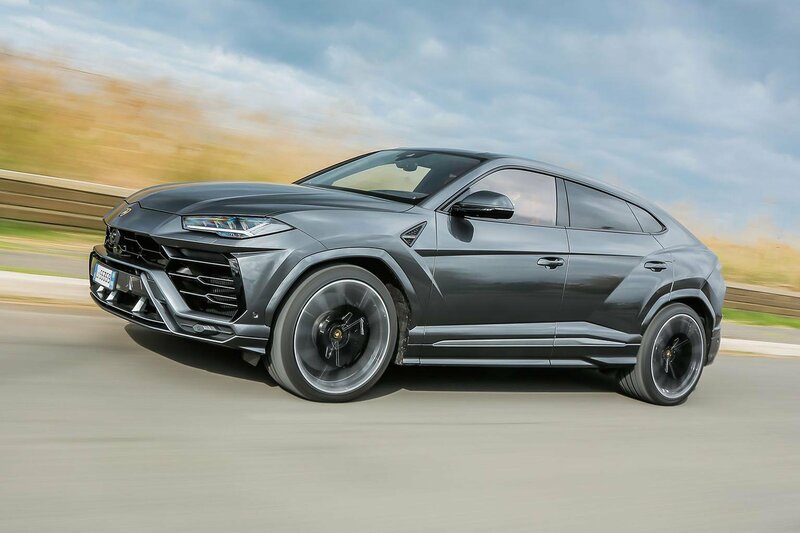 Hey presto, then, the culmination of those two things: a Lamborghini SUV, the Urus. Okay, Lamborghini has actually built one before, in the mid-1980s, but the LM002, as it was called, was daft and had a massive petrol V12 making around 400bhp. The Urus isn't quite so daft; it's powered by twin-turbocharged V8 making 641bhp, propelling it from 0-62mph in 3.6sec and on to 190mph. Hmm, alright, perhaps it is just as silly. It will sell in much larger numbers, though. Lamborghini built fewer than 350 LM002s but will make that many Uruses every month. It’s a ‘luxury super sports’ 4x4, according to Lamborghini, which explains its £160,000-plus price tag and tremendous power. Think of it, based as it is on the same underpinnings as the Audi Q7, Bentley Bentayga and Porsche Cayenne, as the inevitable extension of Lamborghini’s model range: a practical Lamborghini that you can drive every day. But the question is: does it really feel like one? There are various facets to what Lamborghini wants the Urus to do. First has to be ‘the best in class’ for handling and then ‘within the best in class’ for off-roading. There’s plenty of hardware to back up those aims. 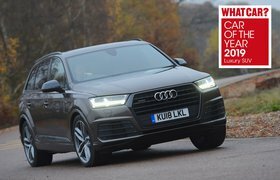 The Urus rides on 21in to 23in wheels, with normal, more sporty or off-road tyre options, within which lie what are claimed to be the most powerful brakes you can get on any current production car. The V8 engine drives through an eight-speed automatic gearbox to all four wheels, although biased towards the rears. The suspension has air springs that you can stiffen or soften via six different driving modes, lowering or raising the ride height while it’s at it. And there are active anti-roll bars to limit body lean. 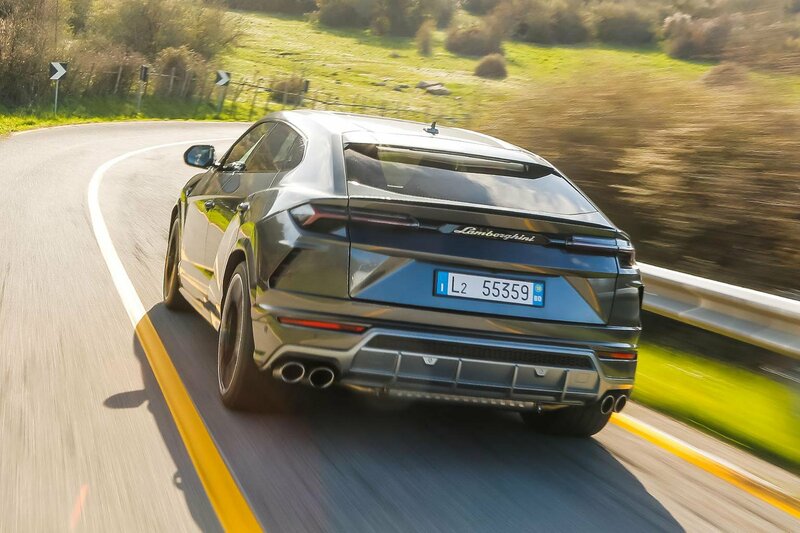 In its most aggressive mode, the Urus is an extremely keen driver's car. At least as much as any SUV that weighs 2.2 tonnes can be. It has quick, responsive steering, although this gathers weight oddly as you turn. Grip is extreme and straight-line speed is absurd. This keenness brings with it a fidgety ride on anything other than really smooth road surfaces, however. There’s a reasonable degree of tyre roar, too. Off road, the Urus is less accomplished than, say, the Range Rover or Toyota Land Cruiser, inevitably, because it can't compete with cars that have a low-range gearbox and long-travel suspension. What it will do, however, is entertain those who like messing around in the snow or sand dunes near where they live without getting stuck on the way home. 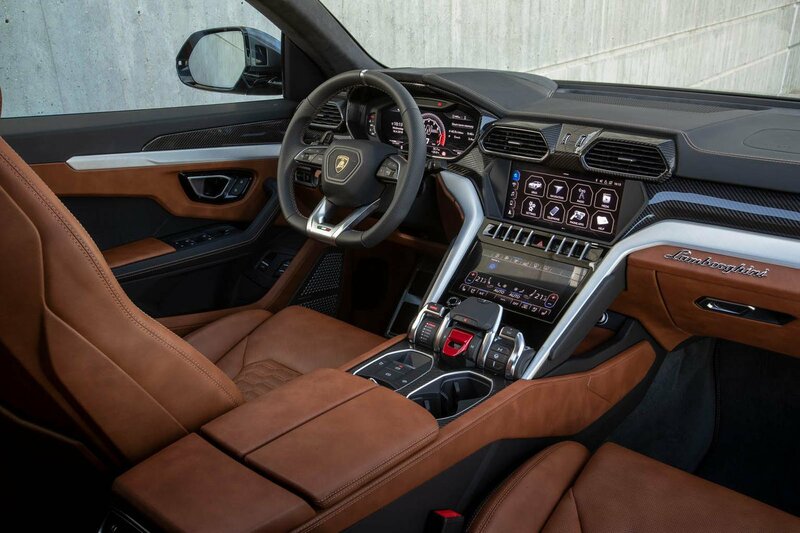 You can have your Urus with four or five seats (we’ve only tested four-seat versions so far), the latter of which split-fold. Yep, this is a Lamborghini that’s just as practical as any other large hatchback. What a novelty. Either way, Lamborghini has been keen to retain an aura of luxury inside. Fit and finish are excellent and the leathers in particular feel great. Naturally, there are flamboyant design touches to make the Urus worthy of the badge on its steering wheel. Alongside those are some switches and stalks that are common to other SUVs in the Volkswagen Group, but they don't feel out of place. The infotainment system is good, too. These dual touchscreens have a very slick appearance – as does the digital instrument display. Standard kit, of both safety and entertainment, are as high as you’d hope, too, although it still won’t be hard to add tends of thousands to the Urus's list price by indulging in options and personalisation. The boot is wide enough to take two golf bags without having to remove clubs: at 616 litres with the seats up, it’s about the same volume as the Cayenne's, and at 1596 litres with them folded down, it’s around 100 litres short of the competition, owing to the fact that Lamborghini has tried to make it look ‘dynamic’. As for running costs, the Urus is frugal for a Lamborghini, with official average fuel economy of 23mpg, but not by any other standard.